Yesterday, the Cartel did everything imaginable to enforce their time-honored “rule” that “all great PM days must be followed by horrible ones.” And this is in an environment of accelerating global currency collapse – i.e., the “single most precious metals bullish factor imaginable” – and a renewed plunge in industrial commodities like crude oil and base metals. Yet, with all their huffing and puffing – particularly on hapless mining shares – gold closed at the Cartel’s $1,200 “line in the sand,” while silver was unchanged; which in our view, was very positive trading action. Let alone, this morning’s surge back to Monday’s highs, as I write at 11:00 AM EST. Regarding the accelerating worldwide currency conflagration, I cannot help but chuckle at relentless predictions of a dollar index plunge to 50 and below. To that end, I have all but screamed that such an event was essentially impossible, with 150 more likely before the global fiat Ponzi scheme collapses. In other words, whilst the dollar will dramatically decline versus items of real value, the “reserve currency” will act as the penultimate “safe haven” as the system collapses – until inevitably, the ultimate safe havens of gold and silver take over. This is exactly what is occurring today – with currencies across the globe losing purchasing power so rapidly, it is almost comical to forecast “deflation”; especially when the standard Central bank response to a strengthening currency is debasing it – which is exactly what the Federal Reserve will be shortly forced to do with the dollar. Not to mention, as the U.S. economy plunges deeper and deeper into recession. I mean, think about it. Europe and Japan are in such dire political and economic situations right now, the slightest catalyst could tear them to shreds. To wit, Japan just announced its suicidal “Abenomics II” policy a few weeks back – but yesterday, reported a record 16th straight month of declining real wages. In Europe, today’s composite PMI disappointment depicted an entire continent either in, or on the verge of recession; and don’t forget those PIIGS, whose ever-escalating debts await their inevitable default. At tomorrow’s ECB meeting, Goldman Mario will no doubt give one of his most dovish speeches yet; which is probably why the Euro – and by extension, the Swiss Franc – is on the verge of taking out its “whatever it takes” low of July 2012, when the entire Spanish banking system was bailed out. To that end, when the U.S. government data cookers can no longer even pretend we are “recovering,” do you really believe Japan and Europe will not completely fall apart? Which, I might add, is EXACTLY what is occurring as we speak. To wit, in all the hullaballoo about the Swiss referendum, does anyone recall that an incredible nine U.S. economic reports were below expectations on Wednesday – and in some cases, like New Home Sales, massively so? Yesterday, the only material economic data was, can you believe it, a “better than expected” construction spending number up 1.1% versus the expectation of 0.5%. However, as usual, the internals told the true story, as without an unprecedented 19% surge in government construction activity – you know, producing ZERO income paid for with printed money – the number would have been dramatically negative. Of course, yesterday’s worst “horrible headline” was the tabulation of horrific “Cyber Monday” sales – which, combined with the four-day “Black Friday” weekend retail catastrophe suggests this year’s holiday shopping may actually plumb the depths of the 2008 crisis. Which is why yesterday’s “dead ringer” algorithm on the “Dow Jones Propaganda Index” – its 25th straight – so blatantly shouts PPT to the world; which as you can see here, isn’t so sanguine about the economic outlook. This morning, the mirage of U.S. economic “recovery” was dealt additional body blows as 1) the MBA’s weekly refinancing index plunged by an astonishing 13%; 2) November unit labor costs – i.e., wages – unexpectedly plunged 1.0%; 3) the PMI services index printed at its lowest level since April; and 4) the ADP employment report massively missed expectations, producing its lowest November print since 2010, and first November decline since – drum roll please – 2008, amidst the worst financial crisis since 1929. Frankly, I can’t wait to see what the BLS data cookers publish on Friday, given not only accelerating economic weakness, but an “unfriendly” birth/death model month which typically generates a modest negative number. Better yet, given that the vast majority of purported 2013 “job” gains were retail-related, amidst the worst retail environment since 2008, how can the BLS possibly continue to purport retail job growth at all? Let alone, the more likely scenario of job contraction! Which, I might add, is all but guaranteed the second the holiday season ends. Laughably, the MSM – before today’s ADP nightmare – was “whispering” of a blowout NFP report Friday (just as they did last month and last week regarding Black Friday sales); based primarily on, get this, “delivery drivers hired on a seasonal basis by parcel service delivery companies like FedEx and UPS.” As if wasn’t fraudulent enough that the BLS counts part-time, minimum wage jobs as the equivalent of full-time manufacturing jobs, they are apparently giving full “job credit” to someone hired as a truck driver on a six-week contract! Moreover, you can “bet the ranch” that come January, they’ll somehow find a way to “defer” or “mute” the impact of the associated seasonal layoffs. And now, today’s main event, extending yesterday’s discussion of exploding global silver demand – per this graph depicting an astonishing 145% increase in silver demand over the past two years (based on Indian imports and sales at the U.S. and Royal Canadian Mints), whilst paper silver prices were trashed nearly 50% by the Cartel. Frankly, with each passing day, I’m more astonished as to how long the Cartel has been able to keep their suppression scheme going; particularly with the financial world’s “Achilles Heel,” silver. Global supply is so unbelievably tight, it could conceivably be bought out by one wealthy individual on any given day; and yet, the Cartel has managed to push prices well below the cost of production, amidst the most PM-bullish environment of our lifetimes. Since 2008, shortages have occurred in the retail pipeline an astonishing five times – as demand has surged and supply stagnated. 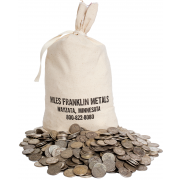 Moreover, as discussed in last month’s “Miles Franklin All Star Silver Panel Webinar,” not only is peak production no more than a year or two away (at just a few percent above current levels), but scrap supply has been plummeting – as will hedging supply, if any still exists. And now that industrial commodities of all types are plunging – including base metals like copper, zinc and lead, whose mines produce the vast majority of the world’s silver – my ongoing forecast of a 25%-plus production decline is looking more and more realistic. And this, as silver investment demand, most likely explodes! 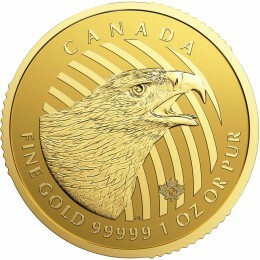 Over the past seven years, the combined demand from Indian bullion imports, U.S. Silver Eagles and Royal Canadian Mint Silver Maple Leafs – i.e., the three largest sources of physical silver demand, aside from unreported Chinese imports – have increased by an astonishing 198%, tripling from 93 million ounces to an estimated 279 million ounces. Simultaneously, global mine production has increased by just 25%; and including scrap and hedging, which have both declined just 12%. In other words, physical demand – which excludes Chinese imports, ETF purchases and other global mints and exchanges – is up 17% per annum, versus supply growth of a piddling 2%. And this, with global PM sentiment at essentially an all-time low, money printing at an all-time high, and the looming, aforementioned production collapse. Of course, all this is occurring in an environment of essentially non-existent silver inventories, as shown in the two below charts. First, we have the dramatic withdrawals from exchanges, such as this year’s 16% plunge in COMEX eligible silver inventories and an astounding 77% plunge in Shanghai Futures Exchange inventory – the latter of which, as part of a 90% decline since the April 2013 “alternative currencies destruction” raids. And secondly, perhaps the most important chart a silver investor or potential silver investor could possibly imagine; i.e., total global silver inventories. As you can see, the last time this chart was updated – from no less than the most anti-silver propagandist around, the CPM Group’s Jeffrey Christian – was in 2009, when just 500 million of total above ground resources were estimated. This chart includes ETFs, and since 2009 the largest of these the JP Morgan-operated SLV, supposedly increased its inventory by a piddling 200 million ounces. In other words, just 700 million ounces or so – or to be conservative, one-plus billion ounces, the vast majority of which, like mine, will NEVER be available for sale. A billion ounces is worth a whopping $16.5 billion as I speak, or less than half what the Fed was printing each month this year. And again, most of this silver will NEVER be available for sale – or at the least, until its well into triple digits. And thus, we ask how on Earth can a sensible investor – let alone, one fearful of the direction the world is heading – not consider physical silver at the current, historically suppressed prices. 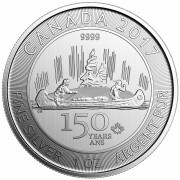 Let alone, as the “inevitable, upcoming silver shortage” looms. We don’t know, but here at Miles Franklin, we are not only helping the public protect itself in kind but doing so personally. As always, an excellent article! I agree, we are more likely to see USD at 130 and Silver at 100 than the USD at 50. The main inverse relationship will most likely be interest rates which will probably continue to trend downward until the current financial system is rebooted. 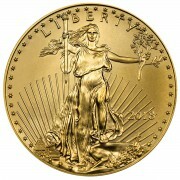 My main worry I have is that the US has no Gold to revive a new currency. If that’s the case the main wild card they will use will unfortunately be the war card. You’re very welcome, and the same to you! We are not sold out, but premiums have crept up this month. And if you want to go to Kitco, all I can say is this – caveat emptor. I actually had to look up what caeat emptor meant and it means buyer beware . Would I be buying fake silver from them ?because that would be fraud no? You’re welcome. And read my article today on the NWT Mint. Apparently Silver.com is having difficulty. 3 Weeks later and no Silver. Its not on back order!!!! They just cant seem to stuff it in a box and mail it???? Thanks. My article today focused on what’s going on at the NWT Mint. Checking this article on your website, but can’t find it. Where is it? Can you please post the direct link here? Where is such article on your website, is there a link for it? No such article is to be found right now.